When looking to purchase a new home, many home buyers desire certain attractive features such as a pool, a second story or in some cases a fireplace. Features, such as a pool or fireplace, add character and appeal to a home. Summers spent lounging by the pool or cozying up by the fire place during a chilly night are two relaxing mental pictures that can cause a person to seek one, if not both features for their home. Though a pool and fireplace are pleasurable features of a home, they add an element of hard work to home ownership. Owning a home has many responsibilities such as keeping a manicured lawn, appliances working properly etc, however, adding the constant care and attention that a pool or a fireplace requires throughout the year might be more work than anticipated. A Fireplace requires proper ventilation in order to prevent backflow from occurring. Fireplace chimney’s need to be cleaned to help assist with the proper functionality of the fireplace; there are certain aspects of owning a fireplace that are often left unnoticed. Certain instruments are needed in order to enjoy the use of a fireplace. 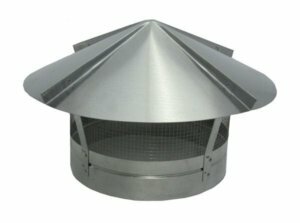 Just like a filter is needed to help keep a pool clean, a chimney cowl is needed to help keep a chimney clean from debris. A chimney cowl has been used for centuries to prevent smoke from filtering back down through the flue into the room from whence it came. A chimney cowl monitors the appropriate amount of air vitalization needed to warm a room without causing any fire hazard concerns or ruined furniture from a downward thrust of smoke. Not only is a chimney cowl used for proper ventilation, they also provide as a barrier against elements such as birds, squirrels, rain and other forms of debris; making the chimney cowl a necessity in proper fireplace care. Over the years, the chimney cowl shape and size been altered not only to improve the appearance of the chimney cowl but to also improve the overall function of the chimney cowl. With today’s advancements in technology and architecture, improvements to the chimney cowl, such as wind direction capabilities, have been made in order to create a safe, healthy and comforting experience for all fireplace owners.